Home repair has many benefits to homeowners. Some of these benefits are obvious, while others are less obvious. Having the right home improvement professional work on your home makes all the difference, and could make home repair a worthwhile undertaking. The Grout Medic serves customers in states all across the country, from New Jersey to California. Our reliable grout restoration and tile cleaning professionals do a thorough job of updating your home and keeping all of your living spaces sanitary. The following are two of the leading reasons our customers love our home restoration and repair services. Let’s face it — hollow and loose tiles can look downright awful. One way tiles can get damaged is due to poor caulking around the bathtub. This can cause water to leak into cracks and crevices, eventually making its way down to the floor, where it can damage tiles. Tiles can be painted, or they can be completely repaired. Sometimes, the best move is to just do away with the old and bring in the new. 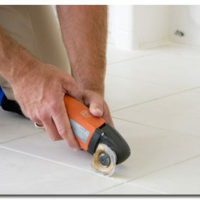 Restoring bad-looking tiles will not only increase the value of your home, but it will make it look brand new as well. Homeowners will be surprised at what a good tile restoration and repair job does to a room. 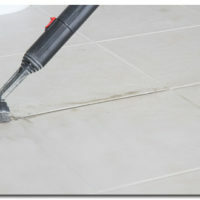 The Grout Medic specializes in both tile cleaning and caulking services. Our highly trained professionals offer clients the highest standards in home repair. That’s why so many customers trust us to provide a worthwhile home repair job. Can a timely and effective home repair protect the health of you and your family, too? Certain aspects of home repair, like grout restoration, can decrease the number of bacteria on your bathroom floor, which can get exceedingly dirty and unhealthy. In fact, some bathroom floors can harbor 2 million bacteria per square inch. This problem becomes exacerbated when bathroom floors get wet, as the moisture provides an environment for bacteria to grow. 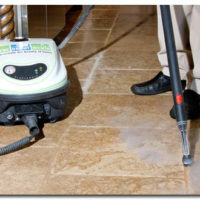 Bacteria is commonly found on grout, since crevices that are filled by the material often become damp. Of course, if you’re not willing to replace the grout in your bathroom quite yet, we aren’t afraid to get dirty. We provide grout cleaning services that will make your bathroom look as good as new. Check out all of our tile and grout cleaning services, and then contact your local Grout Medic to learn more about what we can offer you.